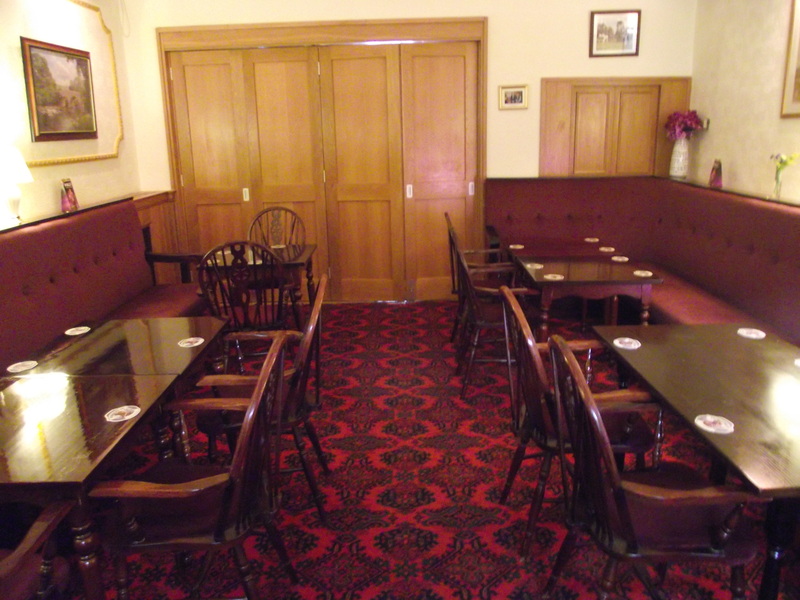 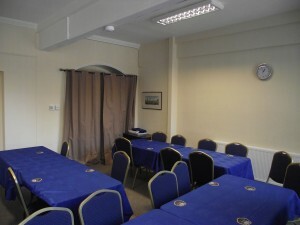 The Club has two rooms which can be hired out to both members and the general public for a variety of functions. 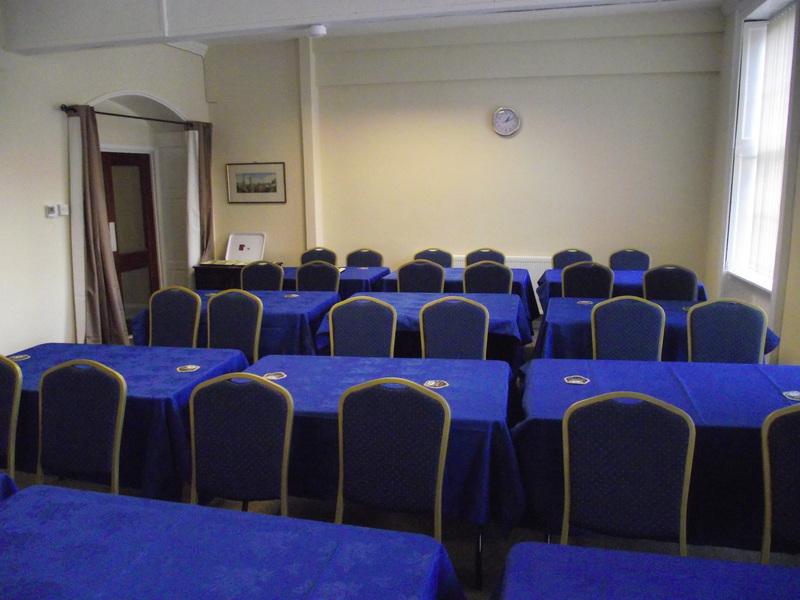 These typically include, Christening Parties; Wakes; Weddings; Private Meetings; Conferences; as well as regular group hire such as Whist Drives; Chess Clubs; Fitness Clubs; Charities and other Social Groups. 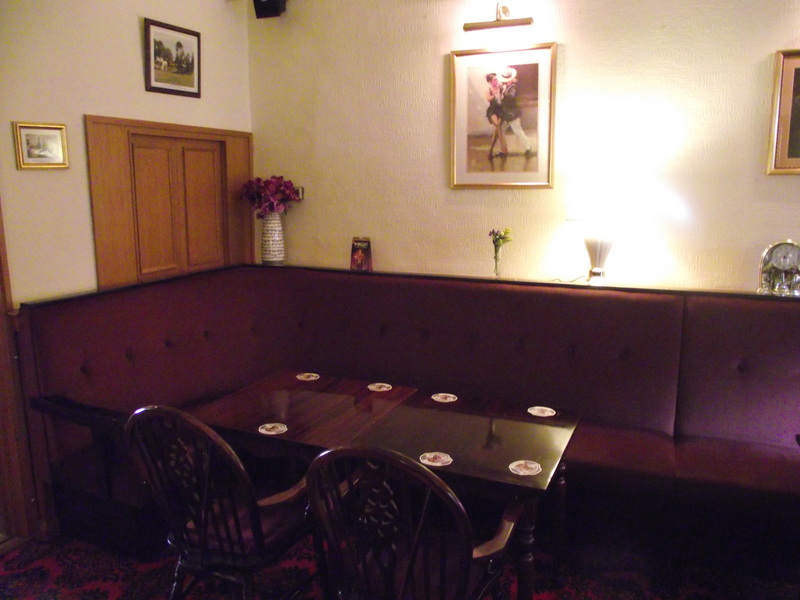 All enquiries to the Secretary. 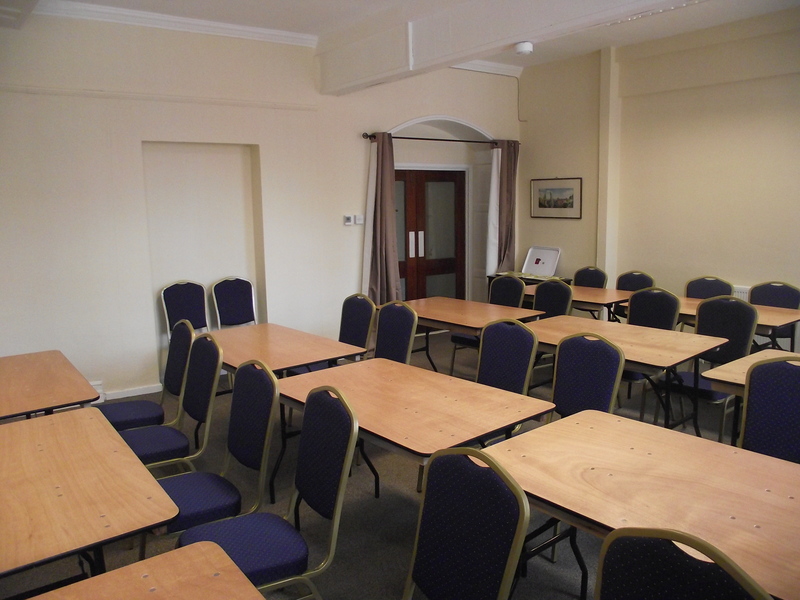 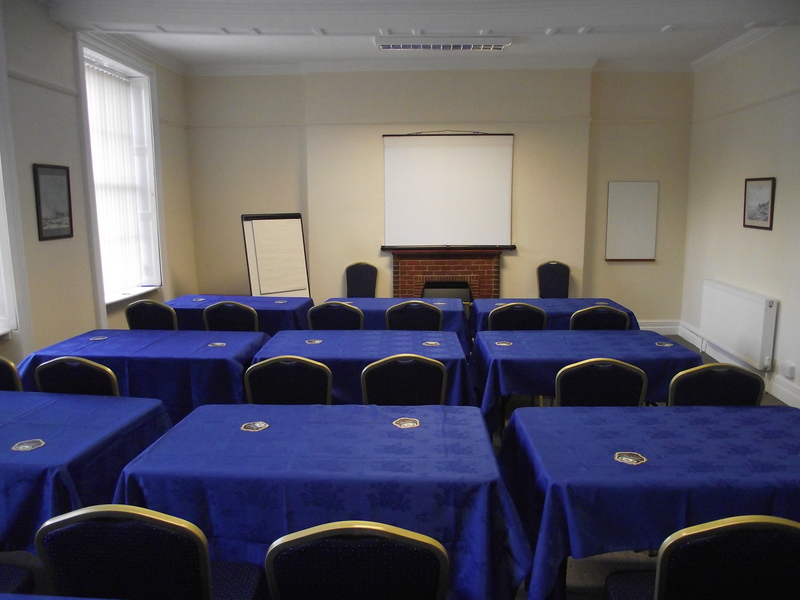 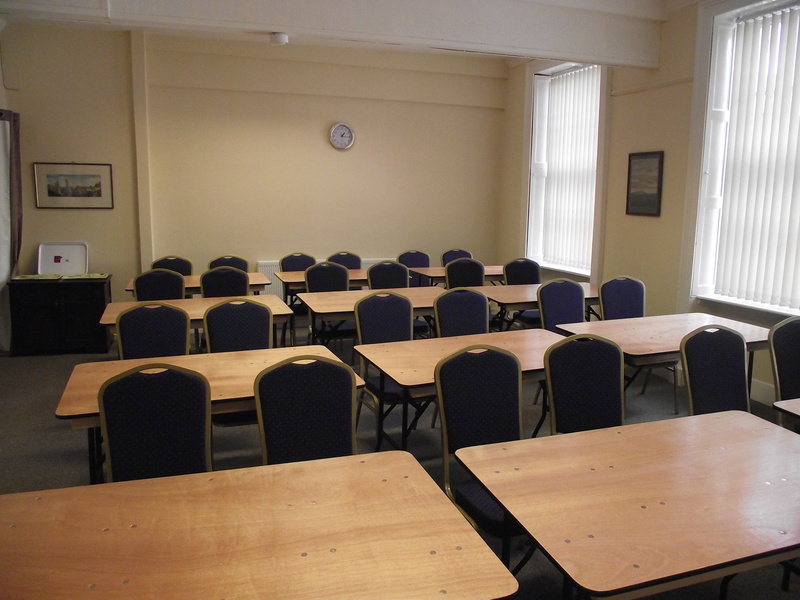 Standalone room very suitable for Conferencing, Private Meetings, Regular group Hire and Special Functions. Seats 30 people on comfortable padded stackable seating around collapsable tables for Conferences or Meetings. 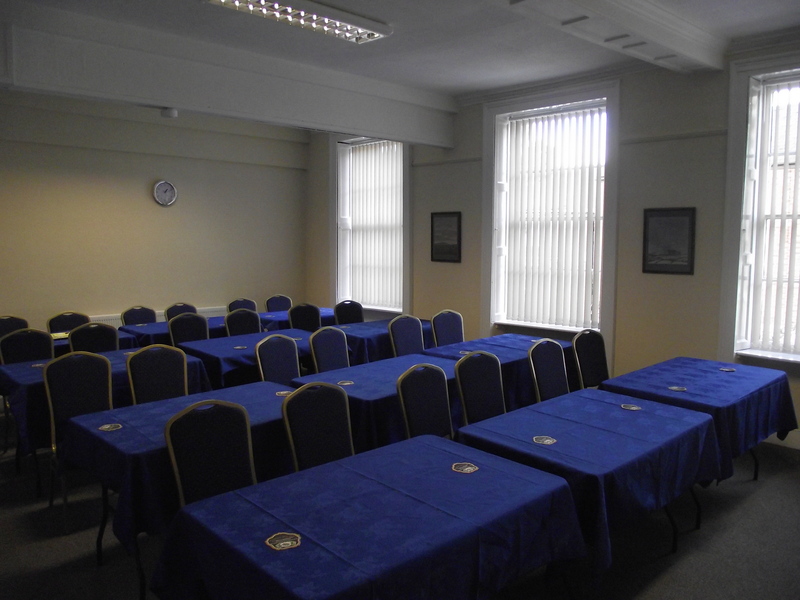 The room can accommodate and seat about 40 people in total. Complete flexibility on arranging seating and tables to suit most purposes. Table cloths available when required. Flipcharts, Whiteboard, Projector and Screen available for Conferences, Presentations or Meetings. Blinds on Windows and Curtains on internal doors suitable for Projector use or Private Meetings and Functions. 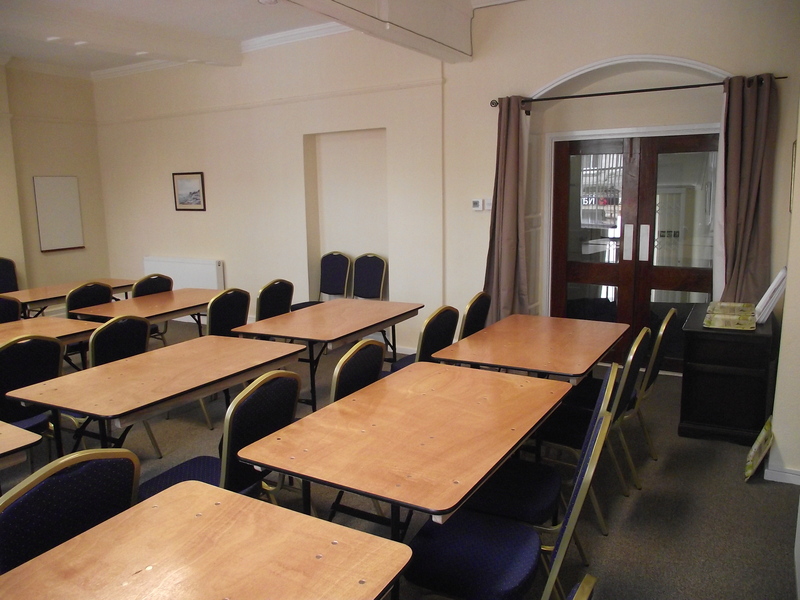 At certain times access to private toilet and kitchen facilities on the same floor can be arranged for special evening functions and parties. Access to downstairs bar facilities during opening times. Tea, coffee and biscuits available for meetings & conferencing during daytime hire. 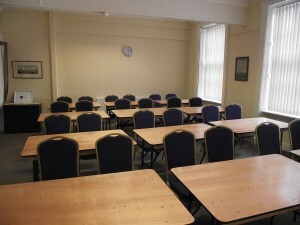 Daytime hire available at £10 an hour. 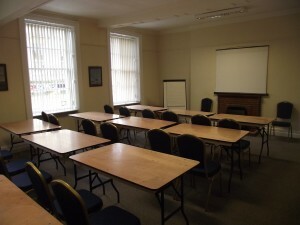 Typically all day (9AM to 5PM) hire will cost £70, price including tea, coffee and biscuits. 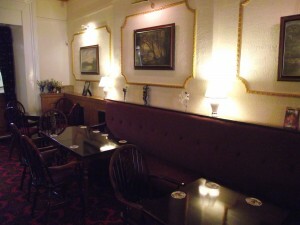 Members discounts are often available. Evening hire rates are priced depending on individual requirements. 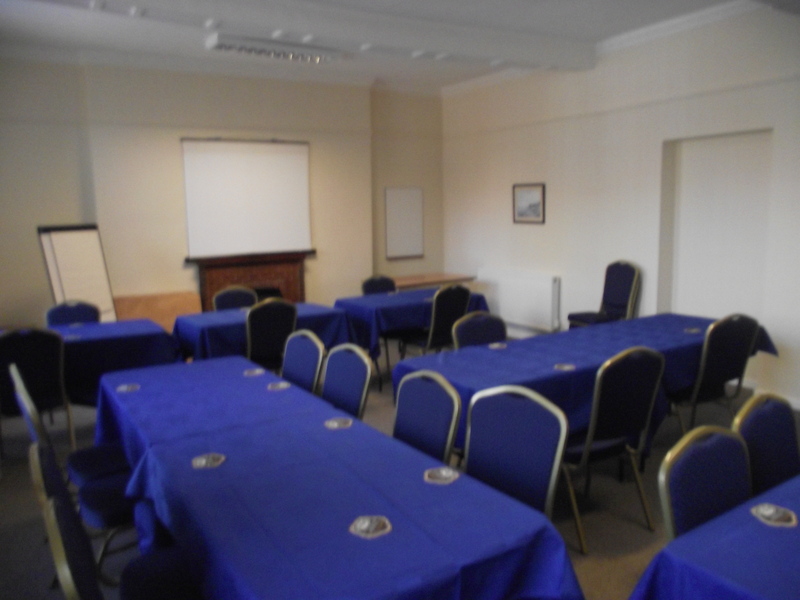 Special terms and arrangements can be discussed for regular group hire.